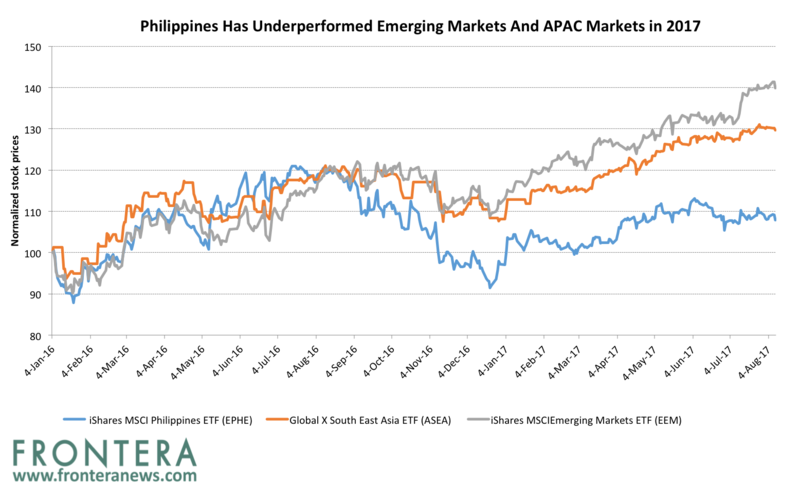 The two ETFs that currently provide the best exposure to Philippines equities are the iShares MSCI Philippines (EPHE) and the Global X South East Asia ETF (ASEA). 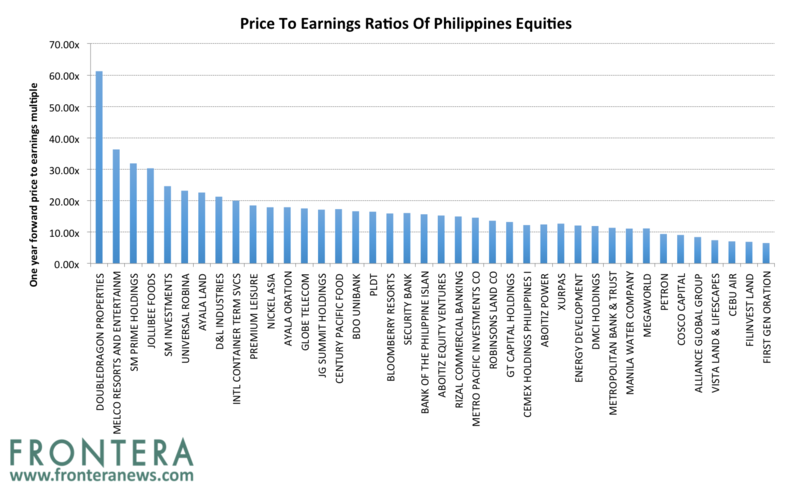 The EPHE ETF invests solely in Philippines equities and thus provides better exposure to the country. 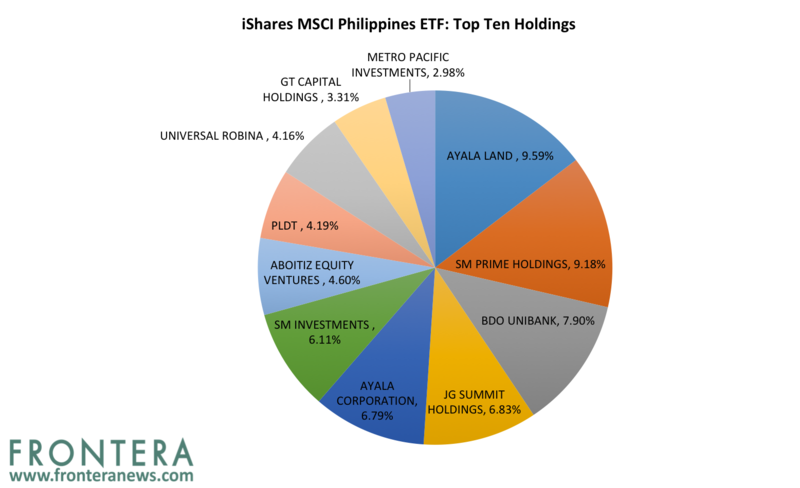 In contrast, the ASEA ETF invests 6.5% of its portfolio in The Philippines. The iShares MSCI Philippines ETF has an average trading volume of $6.23 million, making it fairly liquid and a dividend yield of 0.6%. 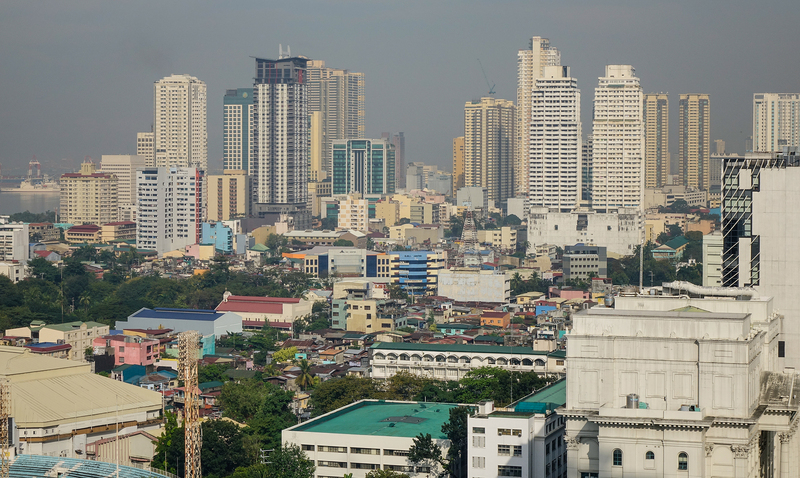 The iShares MSCI Philippines ETF (EPHE) provides the most concentrated exposure to Philippines and aims to provide investment results that match the price and yield performance of the MSCI Philippines Investable Market Index. It is a market cap-weighted fund comprised of 44 companies, with the top ten holdings accounting for 63% of the total assets. The expense ratio is low at 0.64%. 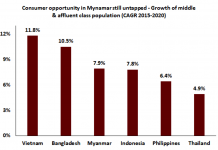 EPHE has a market capitalisation of $20.7 billion and AUM of $186 million. 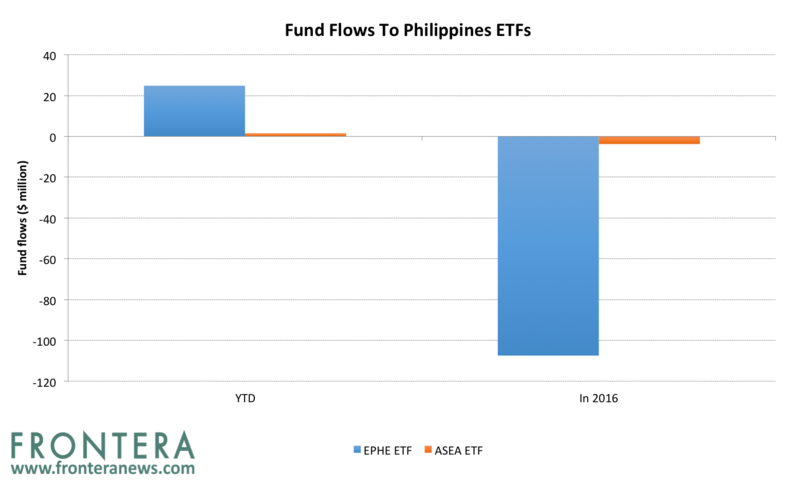 Investors seeking more diversified exposure to South East Asian equities with the Philippines mixed-in can also consider the ASEA ETF. The ASEA ETF has an AUM of $13.8 million and expense ratio of 0.65%. The ASEA ETF has a trading volume of $23.8 million, making it illiquid in comparison to the EPHE ETF. So far in 2017, the EPHE ETF has gained 12.9%, underperforming the emerging markets represented by the iShares MSCI Emerging Markets ETF (EEM). In the same period, EEM has gained 25.1%. Comparatively, the ASEA ETF has gained 20.4%. In the EPHE ETF, the financials sector has the largest weight. Real Estate and financials make up 43.7% of EPHE ETF. Utilities, consumer cyclicals and consumer non-cyclicals constitute 14.1%, 13.6% and 12.9% respectively of the EPHE portfolio. The EPHE is a market-cap weighted ETF with 43% of its portfolio invested in the financials sector. Its top five holdings are Ayala Land (ALI.PM), SM Prime Holdings (SPHXF), BDO Unibank (BDOUY), JG Summit (JGSHF) and Ayala Corp (AYALY). These have weights of 9.4%, 9.1%, 7.7%, 7.4%, and 6.7%, respectively. EPHE’s top ten holdings make up 63% of its assets, making it a very concentrated fund. Shares of Ayala Land have gained 33.9% in 2017 so far, while SM Prime Holdings, BDO Unibank, JG Summit and Ayala Corp have returned 19.9%, 19.8%, 9.9% and 20.1% respectively. Among the 44 stocks that EPHE invests in, 13 stocks have generated negative returns YTD, while 31 stocks have generated positive returns. YTD, Cemex Holdings (CHP.PM) and Xurpas Inc (X.PM) have been the worst performers within the EPHE ETF. 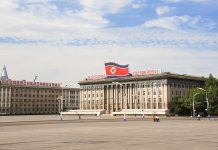 They have plunged 47.6% and 25.4%, respectively, during the year so far. In contrast, Melco Resorts (MLCO) (MCP.PM) and Rizal Commercial Banking (ECB.PM) have been outperformers and have gained 127% and 51.4%, respectively, during the same period. 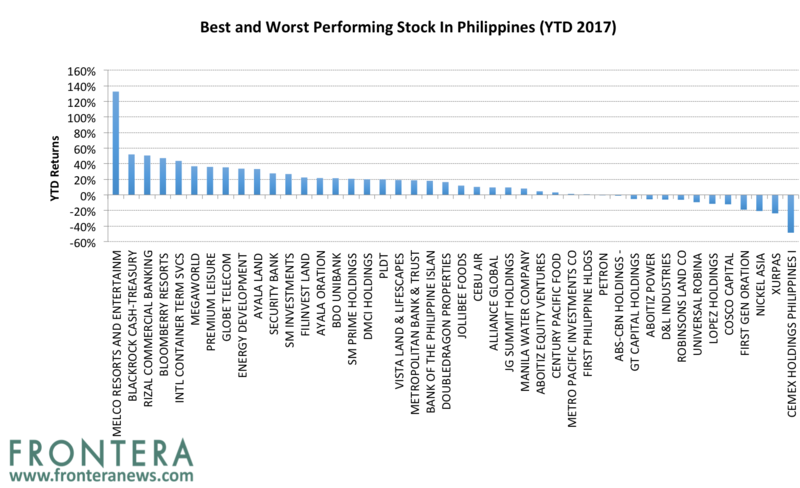 Sell-side analysts are most bullish about Metropolitan Bank (MBT.PM), Ayala Land and Megaworld Corp (MEG.PM) as they received the most “buy” ratings. Metropolitan Bank is rated “buy” by 18 analysts, hold by 2 analysts and has received no “sell” ratings presently. Ayala Land has received 16 “buy” ratings, 2 “sell” ratings and 2 hold ratings while Megaworld Corp has received 14 buy ratings and 2 hold ratings. 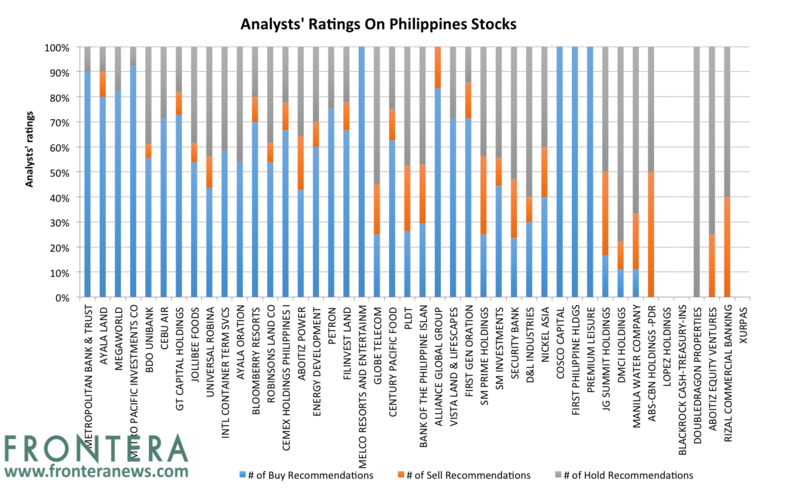 In contrast, analysts are most bearish about PLDT Inc (PHI), SM Prime Holdings and Bank of the Philippines (BPHLF) as they has received the most “sell” ratings. PLDT and SM Prime Holdings have received five “sell” each, while Bank of the Philippines has received four sell ratings. Stocks within the EPHE ETF trade at an average one-year forward price-to-earnings ratio (or PE) of 16.9x. 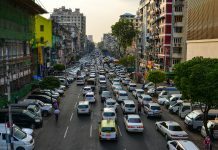 Among these, Double Dragon Properties (DD.PM) and Melco Resorts & Entertainment are the most expensive, with PEs of 61.2x and 36.3x, respectively. 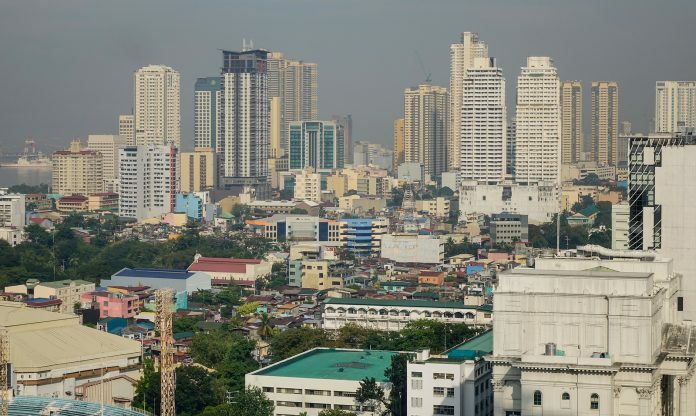 First Gen Corporation (FGEN.PM), Filinvest Land (FLI.PM) and Cebu Air (CEB.PM) are the cheapest among Philippines equities with PEs of 6.5x, 6.8x and 7.1x, respectively. 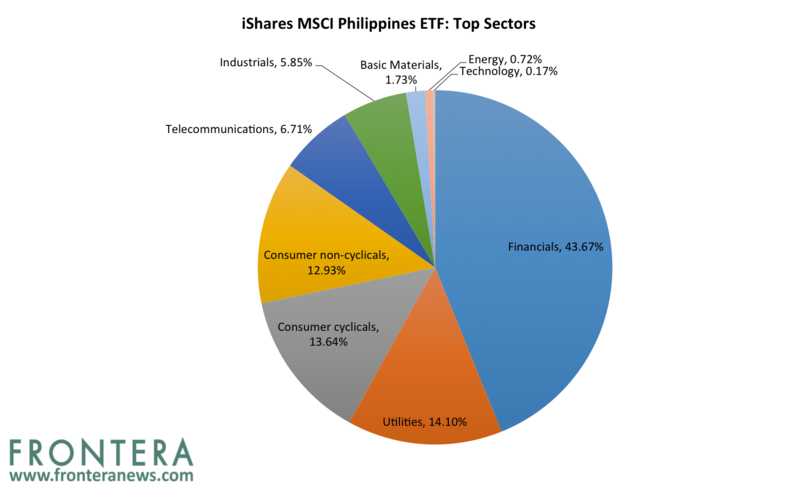 ETF investors added $24.7 million to the iShares MSCI Philippines ETF during year so far. Comparatively, the Global X South East Asia ETF (ASEA) has witnessed inflows of $1.5 million YTD. In 2016, investors have redeemed funds worth $107 million and $3.8 million respectively from the EPHE and ASEA ETFs.